Everyone loves a good selfie – and Snapchat has provided us with a platform to take and send as many as our little heart desires. 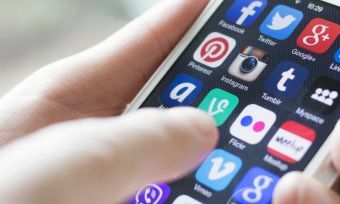 The app, which was launched in 2011 by three Stanford University students, has raced to the top of the digital world, and sits proudly on a throne alongside Instagram and Facebook as social media royalty. The premise of the app has always remained the same – you take a selfie, and you send it to one or multiple friends for up to 10 seconds, before it vanishes. 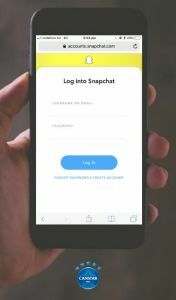 Sounds a bit strange, but it worked – there are now over 301 million monthly and 188 million daily active Snapchat users who are sending an average of 3.5 billion snaps every day. It’s clearly very easy to get addicted – so we understand if you want to take a break. The world of selfies can get pretty ridiculous, so we’ve decided to help you out. Follow on for steps to delete your Snapchat account (either permanently or for just a little break). 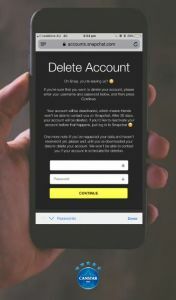 Step 1: Head to https://accounts.snapchat.com/accounts/delete_account – much like Instagram, you cannot deactivate or delete your account through the app. You can, however, visit this website on your smartphone (or a PC) through a web browser. Step 2: Enter your Snapchat username and password. This will take you into the deactivation portal. Step 3: Once here, you will be asked to re-enter you username and password. Step 4: Once you’ve entered your details, check the box next to ‘I’m not a robot’ then select ‘continue’. Step 5: That’s it! Your account will remain in limbo for 30 days, and then become permanently terminated. Make sure you do not log back in within these 30 days, or else you will have to repeat the process. Step 1: To deactivate your account for a short period of time, the same action must be taken as permanently deleting your account. Head to https://accounts.snapchat.com/accounts/delete_account and follow the same prompts explained above. Your account will only remain deactivated for 30 days, so it’s important to remember to reactivate your account before the month is over. To reactivate, you can simply open the Snapchat app and enter your login details. Phew – you’re back. Time to go back to snapping and keeping up those streaks.